Heirloom crops have been in existence for generations, arriving to us now as seeds carefully selected, cultivated and treasured by our ancestors. Heirloom varieties demonstrate great variety in terms of appearance, taste and the conditions they will tolerate. As farmer Jennifer Greene explains on an episode of "America's Heartland," heirloom oats are one way to connect people to the land that feeds them. In addition to their use as a food crop, oats are also a suitable cover crop, naturally restoring soil fertility during the off-season. In 1889, an advertisement for Welcome oats described them as "almost beyond belief" due to the yield typically obtained from small plantings of seed. The cultivar is planted in the spring and grows to about 4 feet in height. Welcome oats are known for weighing more than ordinary oats, producing a greater yield from an acre of land, as much as 120 bushels per acre. In 1889, Welcome oats were one of the most commonly planted types of oats in the United States. Today, Welcome oats are very rare, although the Sustainable Seed Company is attempting to restore the variety through its Heritage Grains Restoration Project. California Red oats are a popular choice as a winter cover crop used to restore nitrogen into the soil and prevent erosion. Because it matures later than other oat cultivars, other farmers plant it as a hay crop so that animals will have access to fresh, green hay even in the winter. Although the Cover Crop Database maintained by the University of California Davis warns that oats are not tolerant of cold temperatures, California Red is suitable for autumn planting in milder climates and will remain green through the winter. Another heirloom grain being restored by the Sustainable Seed Company, Pringle's Progress was developed in 1884 by South Dakota farmer Cyrus J. Pringle. Pringle's Progress crossed the Excelsior and Chinese Hulless cultivars to produce a relatively short stalk that nonetheless has a large seed-producing head. In an 1889 advertisement, Pringle's Progress was described as being a favorite of horses for hay and a productive seed for grain crops. Also a favorite for animal feed and use as a cover crop, Cayuse oats grow to an impressive 6 feet in height, making them suitable for hand harvest. Like California Red oats, Cayuse are planted in the autumn and grow over the winter in areas with climates mild enough to sustain them. Compared with California Red oats, Cayuso produces 14 percent higher biomass, according to the University of California Davis' Cover Crop database. 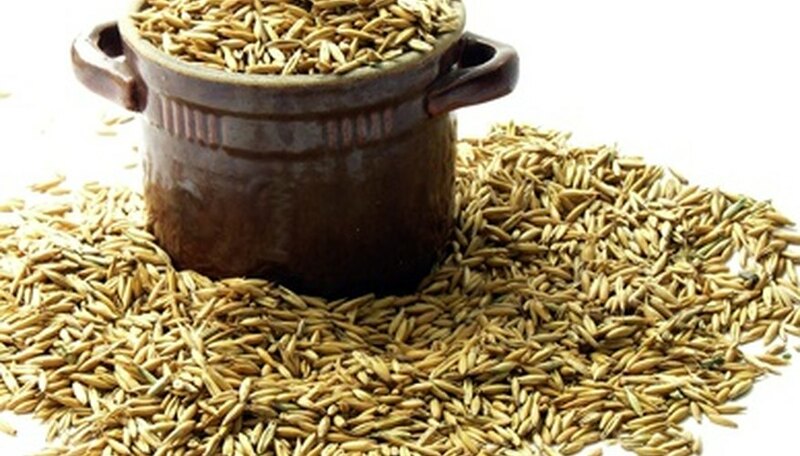 The seed is commonly used as chicken feed, while the stalk makes hay for goats, cows and horses.